I am a huge Rachel Zoe fan. She's one of my fashion icons. Her style is impeccable, and she is only of my inspirations as a stylist. Her effortless style is so flawless and she always spot on with her outfits. I take inspiration here and there, and I would recommend any aspiring stylists to follow Rachel Zoe on instagram - she is literally God. It was only recently that I discovered that she actually designed. Her style is so me, so when I found this out, I had to research the collections and see if she lived up to my expectations and she did, but so so much more. 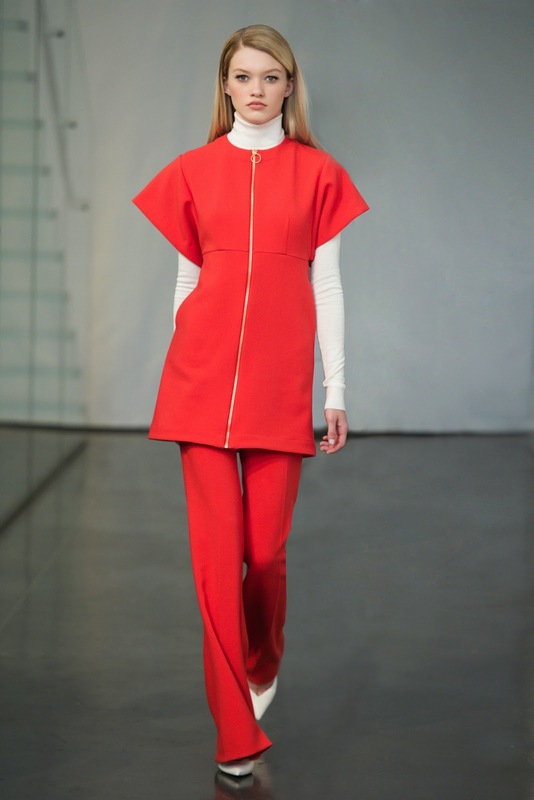 Her simple designs give Victoria Beckham a run for her money, they bounce of each other and you can tell their style is similar, and thats why they are my two favourite designers when it comes to AW collections. 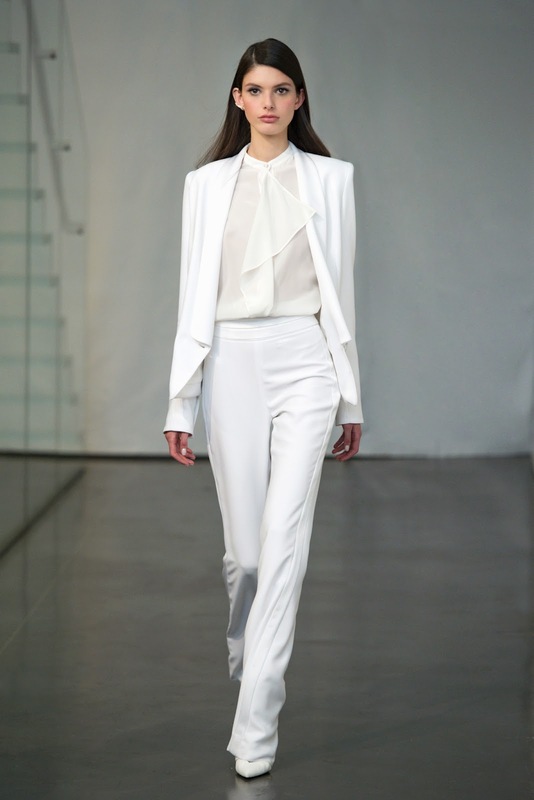 The collection really did scream 'Rachel Zoe' to me. I could see her in all 20 looks included in the show. I love this particular collection because its wearable. Every single look was something that a woman would want in their wardrobe, and thats key when fulfilling client's needs in fashion. Most of the collection was simple - blocked colours with the majority being monochrome - a huge hit at NYFW that will be huge this AW once again. 60s style minidresses were a personal highlight, contrasted with tailoring - all completed with silk, velvet and soft finishings. 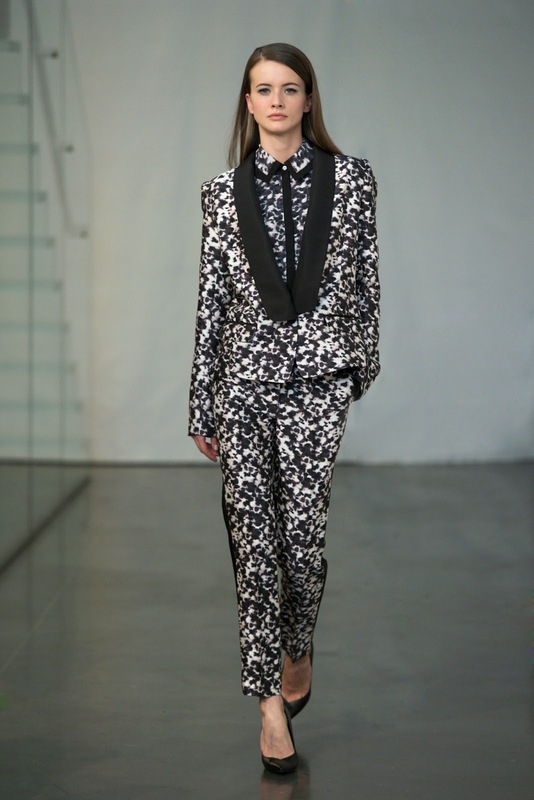 The floral suit was also a highlight, with a masculine structure but oh so empowering feminine feel. Thats another thing I loved about this collection, the fact that Zoe wanted to incorporate many different women's styles without being too much, or too diversed - keeping the collection very restrained. She proved that the saying "Less is More" is something thats definitely on the cards this AW. I cannot wait to see her summer collections later this year! Love the post! The silver metalic dress is stunning ! !